Australian-owned accessory manufacturer Dog & Bone is set to go beyond the realm of cases and screen protectors with a Bluetooth-enabled padlock called LockSmart. LocksSmart ditches the key and dials typically used by padlocks, and is instead unlocked using a companion app available for iOS and Android devices. The LockSmart app is able to manage multiple padlocks, and allows the owner to share access with other users without the need to physically be at the lock’s location. "I could be half way across the world, yet instantly share access to my storage shed, boat shed or locker with the click of a button," said Dog & Bone co-founder Maria Ranchod. "When the pool cleaner or gardener comes to the house, I needn’t worry about being home to unlock the front gate. I can share access instantly, track when my lock is accessed and remove access just as quickly, even if I’m physically miles away." LockSmart uses 128-bit Bluetooth encryption, and can be unlocked with Touch ID or a passcode. The device itself is powered by a battery said to last two-years between charges. It can be topped up using a microUSB charging cable. 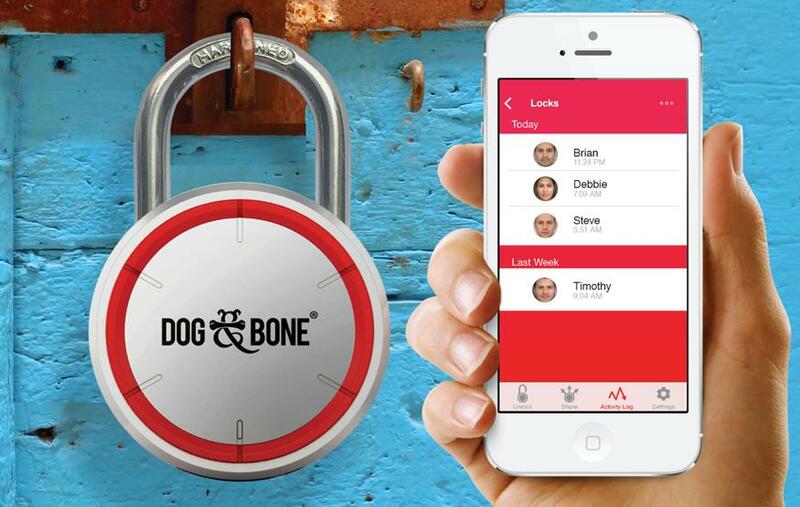 Dog & Bone will be selling two sizes of LockSmart: LockSmart, and LockSmart Mini. The full-size LockSmart features an 8mm steel shackle, while the Mini has a smaller 7mm shackle. Both will be on sale in the coming weeks, retailing for USD$89.95 and USD$69.96 respectively.